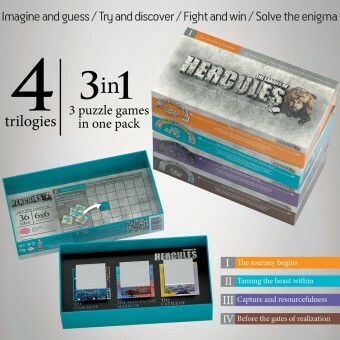 Challenge the power of your mind and imagination and be the Hercules of puzzle solving! Don't miss any pack! These patented series of 2D pattern puzzles are designed and made in EU-Greece and are offered with instructions in Greek, English, German, French, Spanish and Polish. 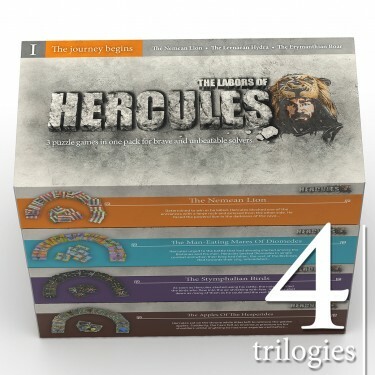 The Labors of Hercules | Trilogy I I The journey begins Including the trilogy of the f.. The Labors of Hercules | Trilogy II II Taming the beast within Including the trilogy o.. 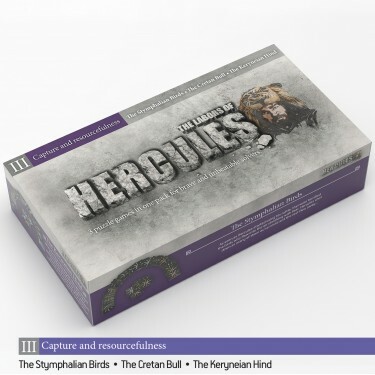 The Labors of Hercules | Trilogy III III Capture and resourcefulness Including the tri.. The Labors of Hercules | Trilogy IV IV Before the gates of realization Including the t.. The challenging series of 2D Pattern Puzzle The Labors of Hercules Complete Collection Includes ..